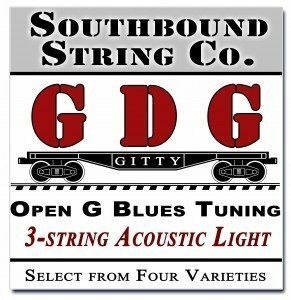 “Here Comes Santa Claus” tablature for 3-string Open G GDG Cigar Box Guitars. The tablature in the PDF link below will show you exactly how to play the melody and chords for the classic Christmas song Here Comes Santa Claus, written by country music and film star Gene Autry. 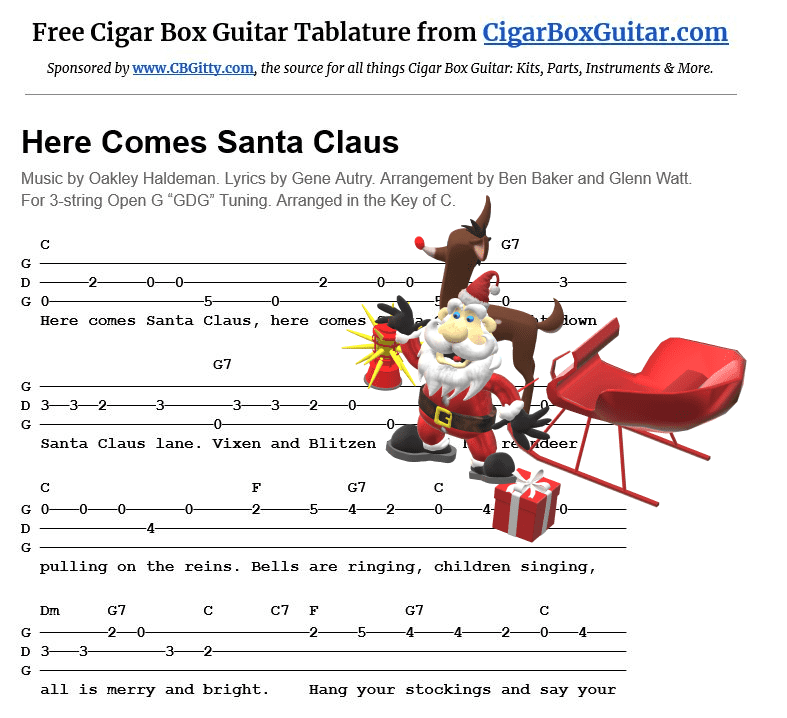 Click this link or the image below to view the printable PDF: Here Comes Santa Claus 3-string Cigar Box Guitar Tablature PDF.